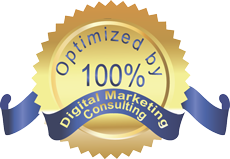 The most wonderful time of the year is coming and it is a great time to think about discovering something new and interesting. New Year tours to Armenia are a wonderful opportunity for you to celebrate the main event of 2018 and 2019 in a new environment, to experience new traditions of New Year and Christmas and to enjoy the hospitality of Armenians. It is the most cheerful, significant and beautiful event in Armenia, which gives faith in the aspirations, hopes for positive change and high expectations for the coming year. New Year is celebrated uniquely in Armenia. The preparations for New Year begin from December. 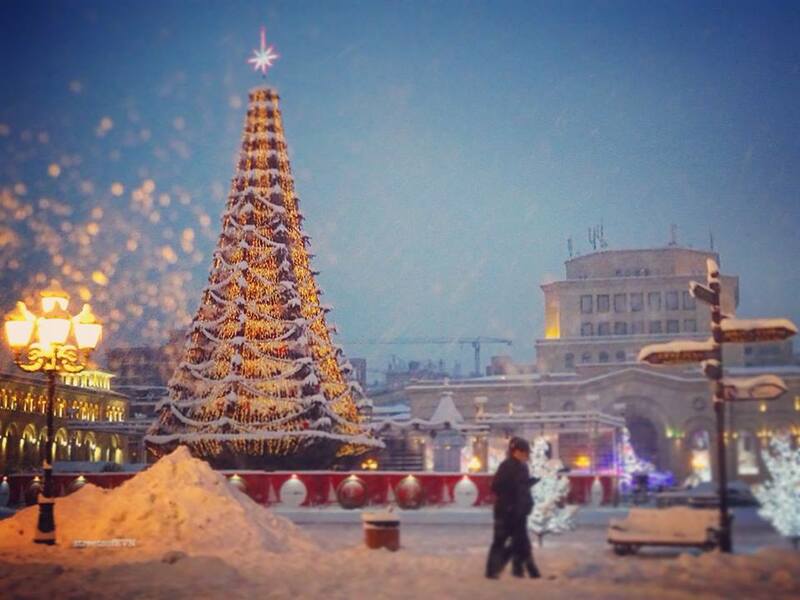 In the capital of Yerevan and in various major cities, various festivals are held in December and January. 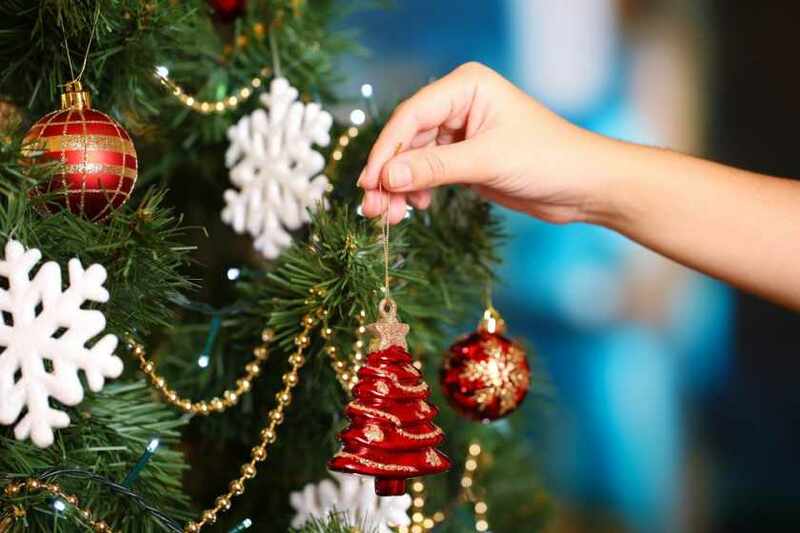 You can enjoy brightly decorated Christmas trees, Christmas wreaths, noisy, attractive Christmas markets, where guests can buy wonderful souvenirs and gifts. 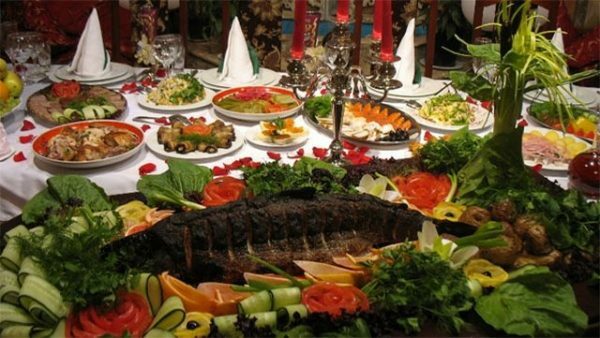 The typical New Year’s Eve in Armenia is greeted with a family and an abundant table. It is celebrated here on the 31st December and on the 1st of January, the gifts are handed over on this day and we wish each other a happy new year. One of the unique features of New Year in Armenia is the table. There are certain must- have dishes which you can find in every house. The New Year 2018-2019 in Armenia is therefore a good opportunity to taste the traditional cuisine. One of the most popular “accessories” is the pork leg. It has become one of the main symbols of the holiday. Without the presence of this dish, there is no feeling of New Year. There are many jokes about it, and all the housewives will insist that their pork is special and one cannot leave the house without tasting it. In the recent years, some families are trying to replace the pork with turkey or some fish. Other inseparable parts of traditional Armenian New Year food is Dolma( grinned meat wrapped in a grape leaf or cabbage), meat snacks (ham, basturma, sujukh), various salads, you can find pastry, various nuts and the sweet sudjukh – walnuts, threaded and soaked in thick syrup of grape or mulberry juice. Dried sweet snacks from all kinds of fruits is also a must-have for the table. It is a very typical Armenian tradition and a kind of events in New year’s celebration. When it’s 12 o’clock, family members congratulate each other, drink something and then start visiting each other’s houses which lasts a whole week. It is an unwritten rule that when a family visits you, you, too, must visit their house, otherwise they may be offended. Tasting something delicious made by the housewife is a must. This is probably one of the most unique events regarding New Year in the world. So you should not miss these holidays in Armenia, but spend them in the home, which is called Armenia, with the family, which has 3 million members. The preparations are not only for the table, but also for the house. The house should be as beautiful, colorful and festive as possible. It is a long-awaited event and delights both the adults and the little ones. 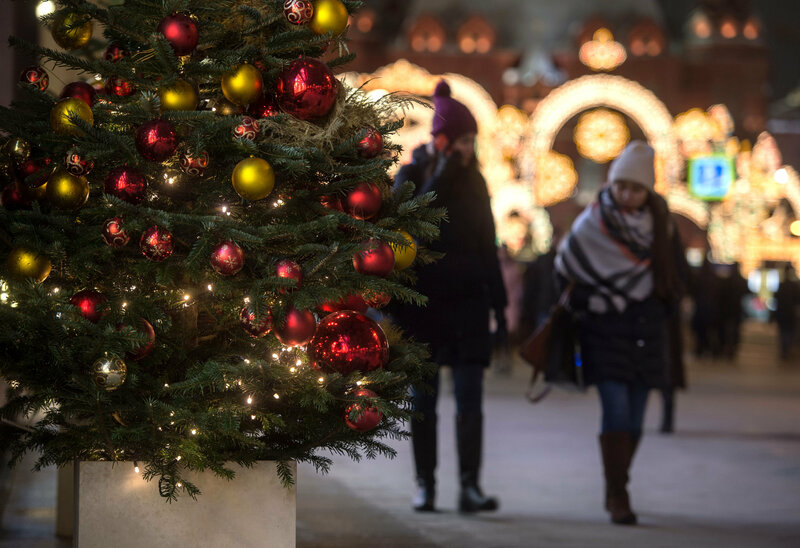 The streets are decorated with all sorts of festive lights and garlands, decorated trees and the main Christmas tree stands on the Republic square. All the decoration events are accompanied by concerts, entertaining shows, etc. 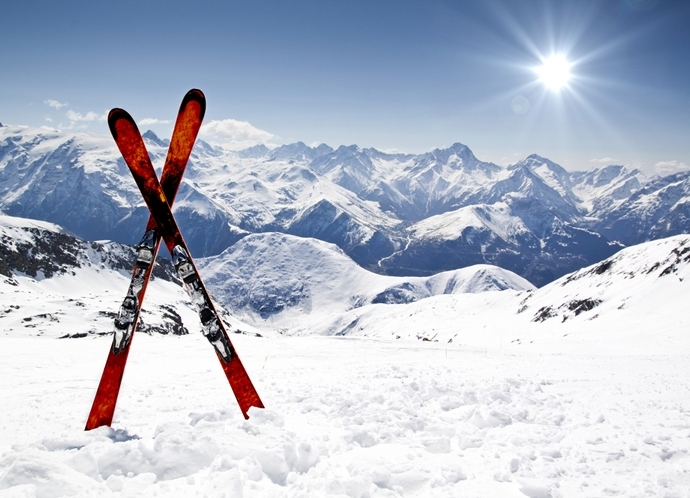 There is so much to see and do in Armenia in winter. Skiing, skating, enjoying all kinds of winter sport activities are always a good choice. You can participate in many competitions, including Santa costume run, during which the participants are provided with Santa costumes and they should run 5km. The competition is accompanied with music and entertaining ceremonies. You can visit several sights of Armenia as our country is compact, which allows spending every day in different locations. You can visit historical and modern restaurants, medieval monasteries and churches and, of course, traditional music, the festive mood, good people are inseparable. The weather in Yerevan is average 3 ° C, average daytime temperature is + 2 °, and at night it falls to -7 ° C. The highest temperature in January in Yerevan can reach 12 ° C in the afternoon, and the minimal night temperature is -16 ° C.
So, New Year in Armenia promises also the opportunity to enjoy the mild winter weather with bright and hospitable Armenian sun. 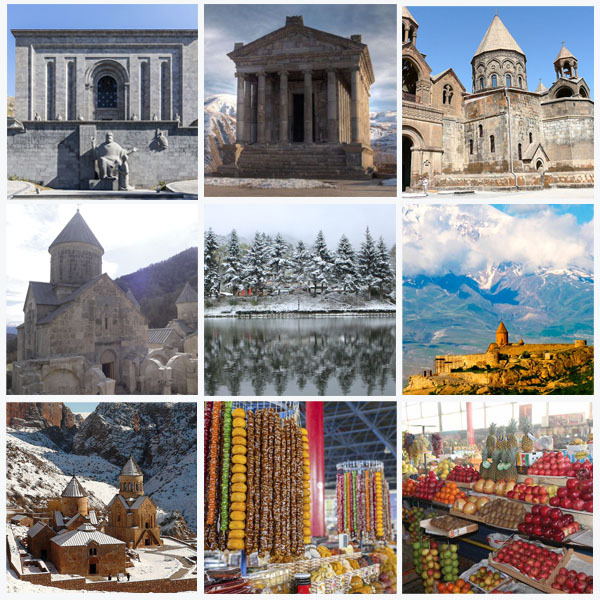 So if you want to learn more about Armenian unique traditions and customs of New Year and Christmas, visit fantastic sights and the Armenian Christmas Market, enjoy outdoor ice skating, it is the right destination you can ever choose. Armenia is always happy to surprise and please its guests!